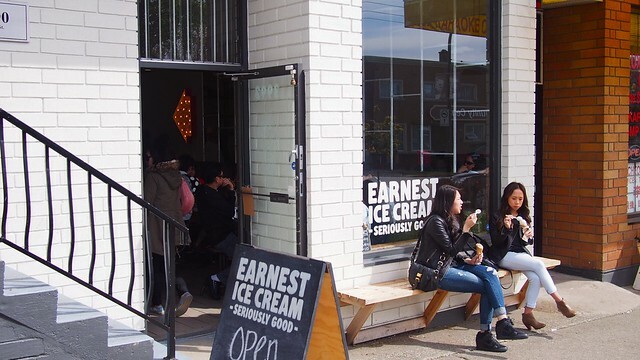 Dessert from Earnest Ice Cream's scoop shop on Fraser Street in East Vancouver on April 26, 2014. 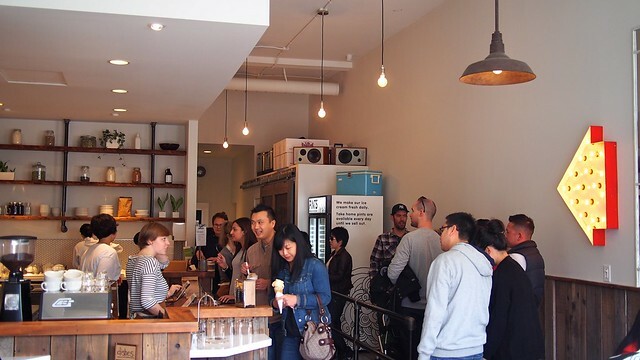 As we inch ever closer to full-blown summer in the city, Earnest Ice Cream's relatively newish brick and mortar scoop is getting in full swing with line ups out the doors for cones and cups of their addictive artisanal ice cream. 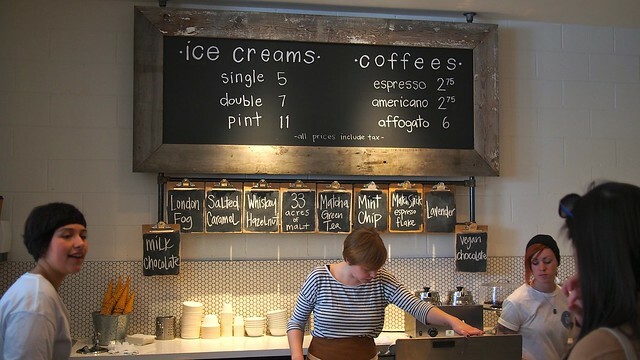 At the shop, I opted for a double scoop of 33 Acres of Malt and mint chip in a cup (for easier handling and fear of melting). The malt was absolutely delicious in its texture and intense malty essence just as the mint was light and crisp in its understated flavouring. I'm also a fan of the trio of standard favourites: whiskey hazelnut, salted caramel, and milk chocolate flavours. 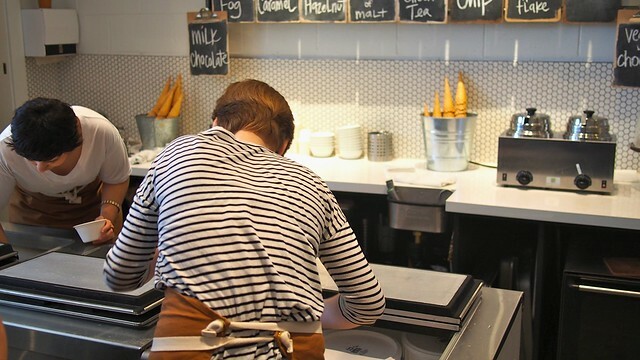 Each bring their own unique set of taste and flavours made with local ingredients wherever possible. I grabbed a jar of Matchstick espresso flake to takeaway. It was rich and full of refreshing coffee flavour. 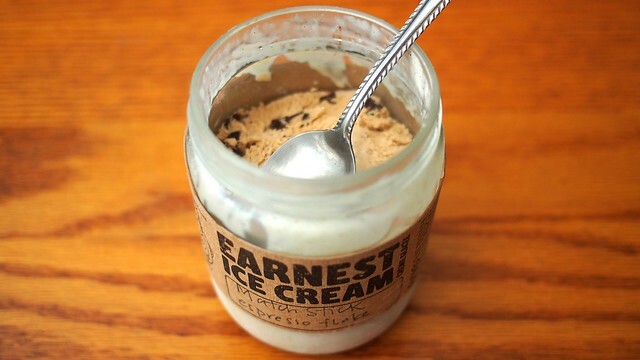 With the sun and summer just around the corner, Earnest is shaping up to continue its must stop status as a destination for ice cream lovers to cool off for the refreshment. 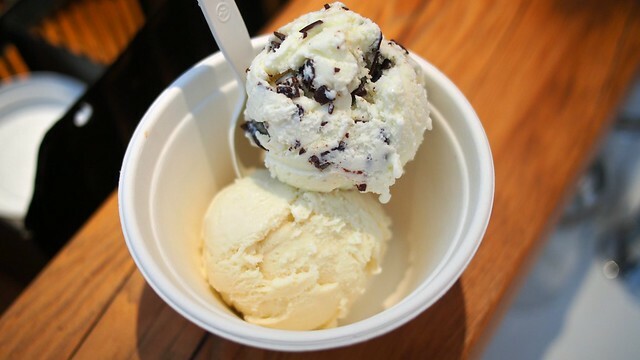 "Without ice cream, there would be darkness and chaos." – Don Kardong.